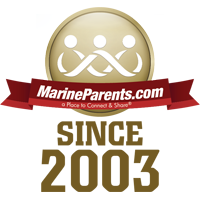 Extreme Restoration MarineParents Style Starts MONDAY! This Monday we are helping Larry Diggs, a 94 year old World War II Marine combat veteran. With the help of over 120 volunteers, and your generous donations, we will be taking on an extreme restoration project at Mr. Diggs' home. Learn more in our first article. 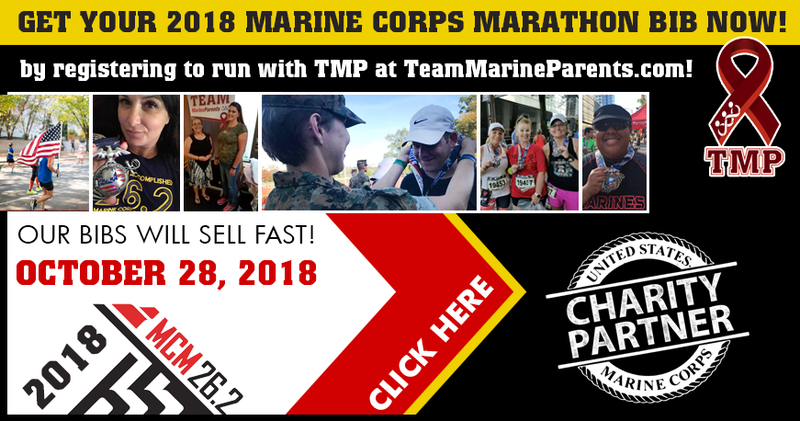 Also in this newsletter: purchase a Marine Corps Marathon bib, view photos and read stories from the Marine Parents Travel Assistance program, meet our featured TMP participant and volunteer, and read about our Warrior Support Team. Thank you so much to those who have donated to this fundraising campaign over the past few weeks. So far, we have raised $11,235 for this extreme home restoration project. 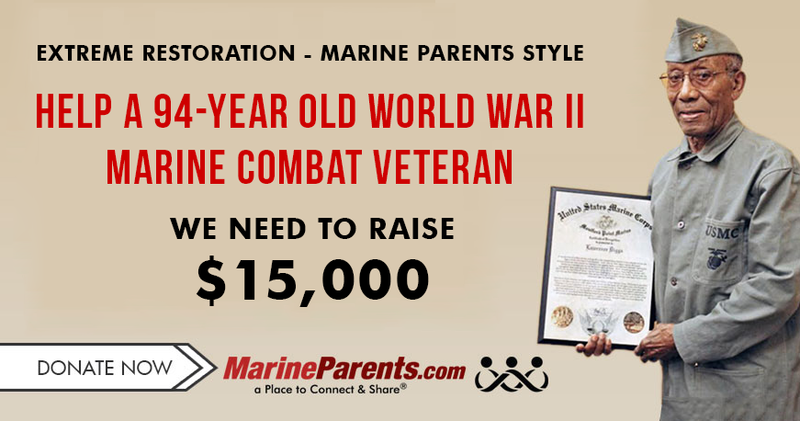 MarineParents.com and Veterans United staff are honored to help a local Marine, Larry Diggs, this May 7, 2018 to restore the exterior of his home with a retaining wall and extreme overhaul of a yard that is just too much work for a 94-year old WWII Combat Veteran. With the expertise of Lance Lanier and his landscaping staff, the old, overgrown, and dying shrubs will be removed and replaced with plants that are easy to maintain and decorative rock with weed barrier--again for ease in maintenance for Mr. Diggs. While this may seem like a minimal project, it's actually a vast undertaking with several acres of yard and a whole retaining wall to replace. We are committed to assuring Mr. and Mrs. Diggs can continue to reside in their home, living independently, for many years; reducing maintenance on the yard and exterior of their home will contribute significantly to that goal. It's not too late to be part of the success. Donate NOW. 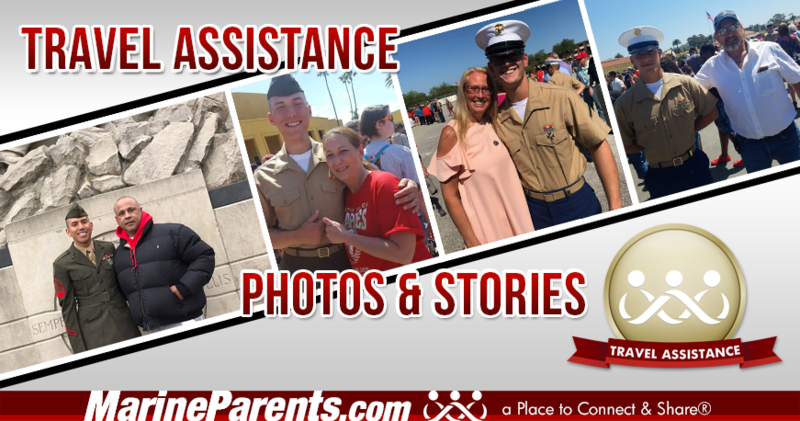 The mission of the Marine Parents Travel Assistance program is to provide financial assistance to Marine Corps family members who would otherwise not be able to attend boot camp graduation. Click here for photos and stories. 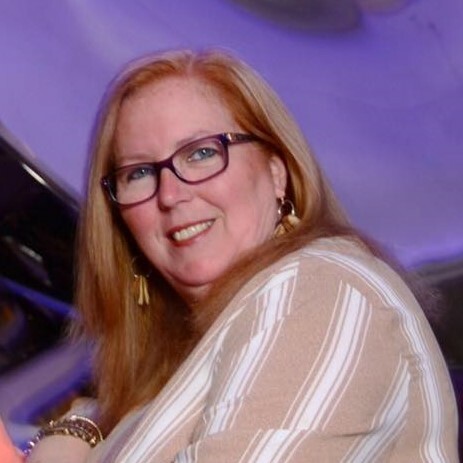 Shelly originally joined Team Marine Parents when she was encouraged by a fellow Marine Parents volunteer to run the Marine Corps Marathon in Washington D.C. This will be Shelly's third year running the Marine Corps Marathon. 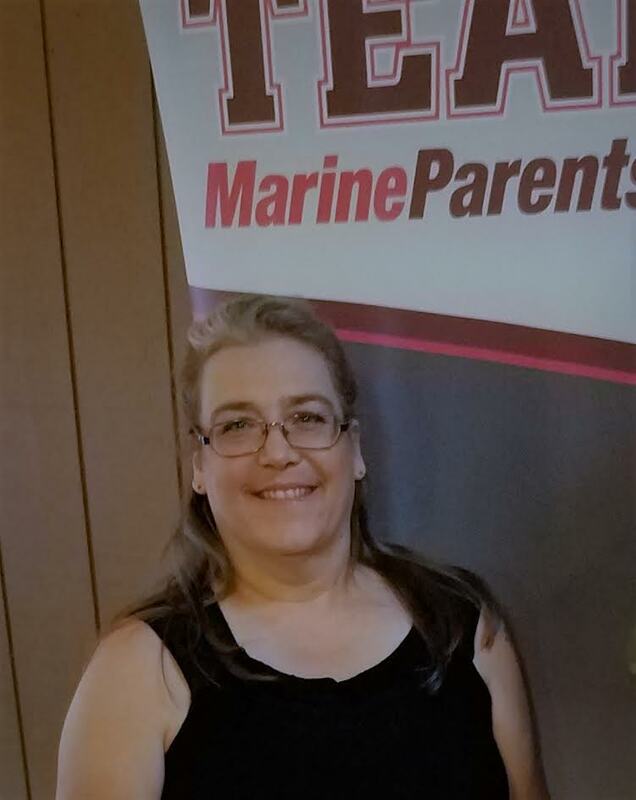 Jackie is a volunteer in the Official MarineParents.com Facebook group for Lima Company, Parris Island. 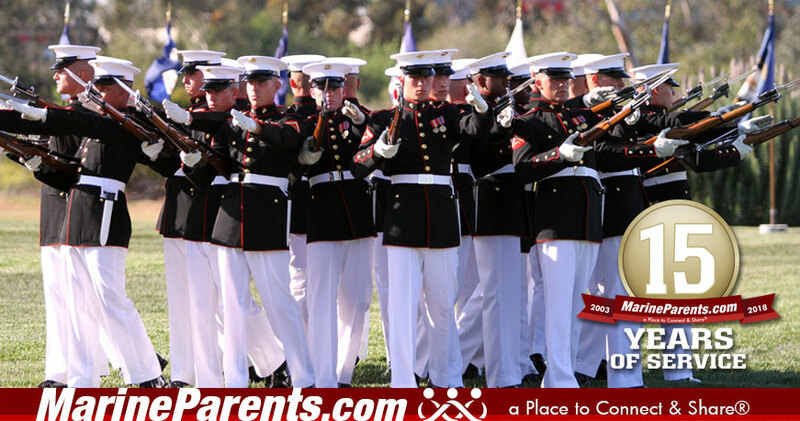 She is the proud MoM of a 3rd generation Marine. Two Marines and a recruit were admitted to the Naval Medical Center in San Diego. Our Warrior Support Team Volunteers were there to serve their weekly dinner to the patients and their families. The recruit, who joined the Marines to "do something bigger with his life" was admitted for a severe case of pneumonia. The newly minted Marine suffered an injury to his knee during the Crucible, but was able to finish and earn his Eagle Globe and Anchor. Ooh Rah! The third Marine suffered injuries while stationed at the Kadena Air Base in Okinawa. By his side was his father, a 15-year Marine vet. In all of these situations, the Warrior Support Team was there to listen, comfort and encourage. God Bless and Semper Fi.